Ok, ok, I admit it, I bought another peperomia. Its the last one, I promise. Well, maybe the last one. But look at it, it is so pretty. 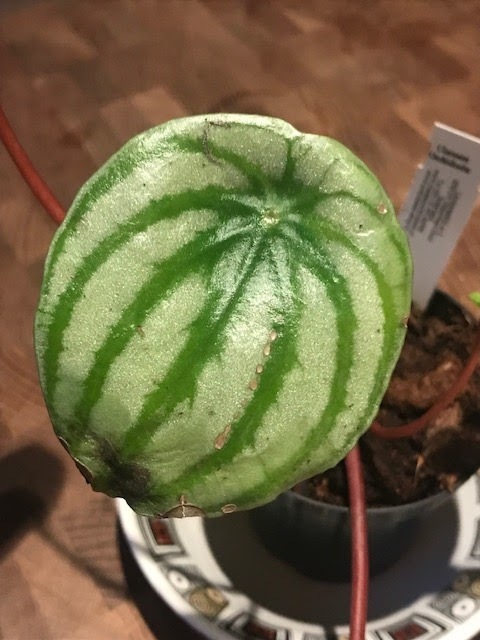 This is Peperomia argyreia, the watermelon peperomia. It has the most beautiful leaves. I bought this one from a company in Holland, I felt like I managed to get it delivered before that thing that begins with B and whose name I refuse to speak, starts to kick in. The main leaves look a little battered from its journey but it is clearly healthy and settling in well. 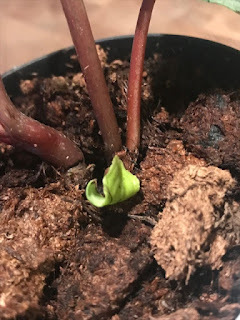 and look, look, it has a new little leaf forming already. This is so exciting. 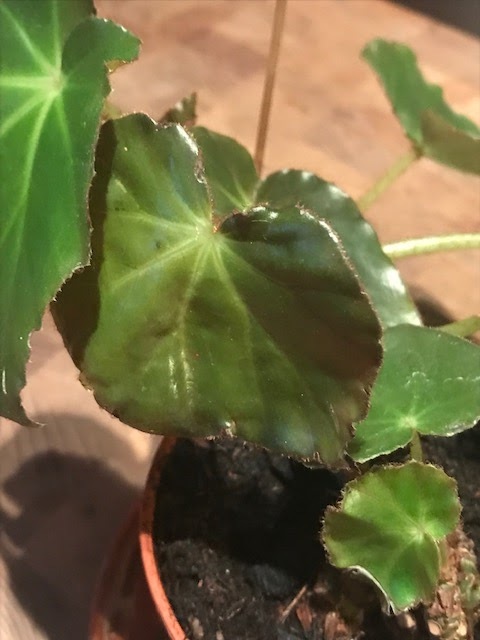 I love the shape an iridescent shine to the leaves. 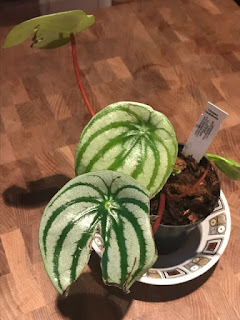 This is one very special peperomia. Before you all walk away thinking I am totally obsessed, I have bought another plant recently that was not a peperomia: I bought this rather wonderful begonia. I am not exactly sure what type it is as it was just labelled as 'rare'. I have no idea if it really is rare as I do not know what it is. 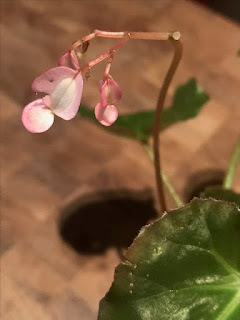 It might be the beefsteak begonia - begonia ephebophilia, but then again it might not be. 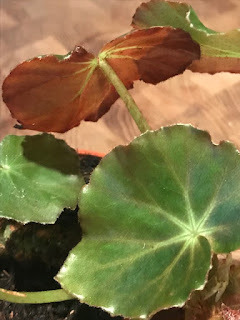 Do not do an internet hunt for the beefcake begonia, I can tell you now it is does not exist and you get some very confusing results. Anyhoo, it has very pretty little pink flowers and these gorgeous fleshy leaves. Whatever it is I like it a lot. The underside of the leaves have this wonderful red colour. The plant almost looks like it is made of plastic, which ought to be a bad thing and yet it is not. My windowsills are getting rather full.